We’re building a design community that not only supports each other, but also encourages collaboration. Since I joined the department we’ve hired over 60 designers working in specialisms such as Interaction Design and Content Design. Both of these roles work closely with our User Researchers, and, more recently, a small number of Service Designers. This mix of skills, working together in multidisciplinary teams, has helped us deliver products and services such as Apply for Carer’s Allowance, Apply for an Access to Work grant, Apply for a Budgeting Loan, and Check your State Pension. Meanwhile our design team continue to work on the delivery of our transformation programmes such as Universal Credit. We’re now looking to hire experienced Service Designers. The emphasis and impact of our work has slowly been shifting and focus has increasingly moved towards designing the full end to end service or experience of our users. Many of the early services we worked on for GOV.UK were narrow in focus. In many places we started by only delivering the digital, or ‘web’ part of a user journey as part of a service. As our work and experience of delivery at DWP Digital has grown our focus has shifted, so it’s important to have the right people with the ability to make the right decisions. This is important because we understand that our job is to design for the outcomes that government is working to deliver, and to deliver products and services that are built around the needs of the people who will have to use them. Increasingly, this means that all our product and service delivery is moving towards fully transformed services where any ‘digital’ products are built around policy, and operated through fully integrated ‘back end’ systems and processes. This means designing content and interactions across both digital and non-digital channels as part of the end-to-end journey experienced by both users and our operational colleagues. I always describe Service Designers as people who facilitate and lead this design process, working through every touch point and interaction, helping deliver the outcomes we’re working towards. To do this they need to be skilled at understanding, or articulating what a user needs to do and then making sure that what we deliver, lets people complete their goal while delivering the underlying policy intent. This is an important role, working closely with product owners to plan towards long term goals and prioritise what to do next. It’s not that other specialist user centred design roles don’t have these skills, they do. 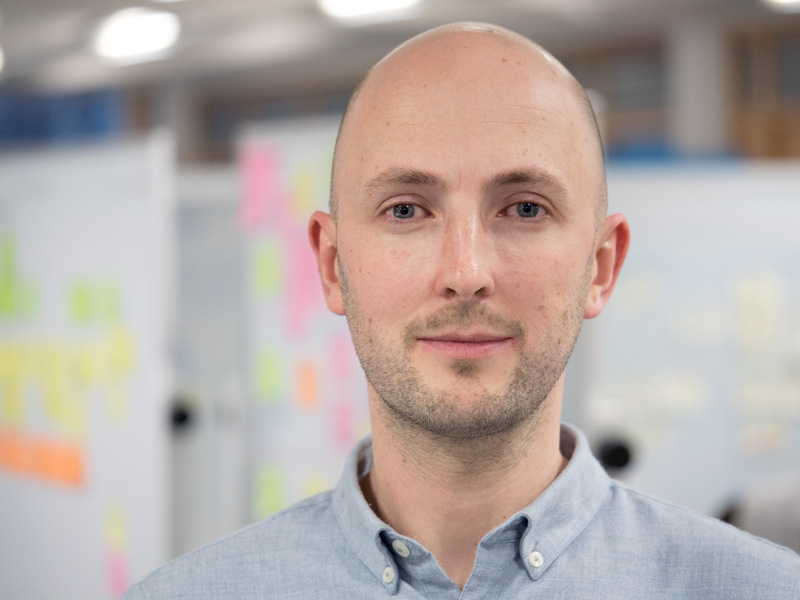 But having an experienced Service Designer is a way of constantly bringing together all of our product and design thinking as we frame the problem, taking a view across the design of the full end to end user journey and service blueprint that supports this. Like all design and product roles, Service Designers work with the rest of the team, and with our specialist user researchers, to understand user needs. Their work usually involves the creation of new transactions, and changes to existing transactions, products, and content. In government, they work to bring together colleagues from both operations and policy to help own the problem as well as any possible solutions. To work in this role you will need to be clear, be creative, and be bold. We’re looking for people that can take the lead, communicate, and do the hard work to make things simple both for their team, and for users. It’s hard work being a designer in government, but you’ll get to work on critical public services that matter to millions of people. If you are interested in joining us visit our Digital Careers website and look at our LinkedIn page to see our latest jobs. Find out more about what's happening in DWP Digital: Subscribe to this blog, follow us on Twitter @DWPDigital.